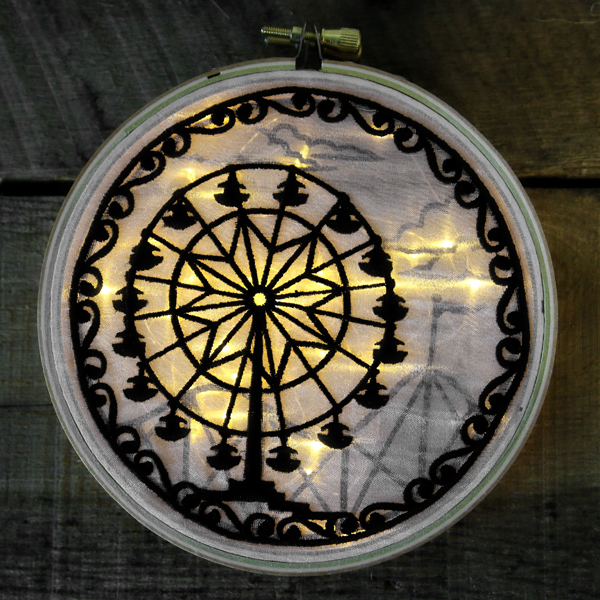 A lovely Ferris wheel silhouette will leave you dreaming of summer days spent at the fair. 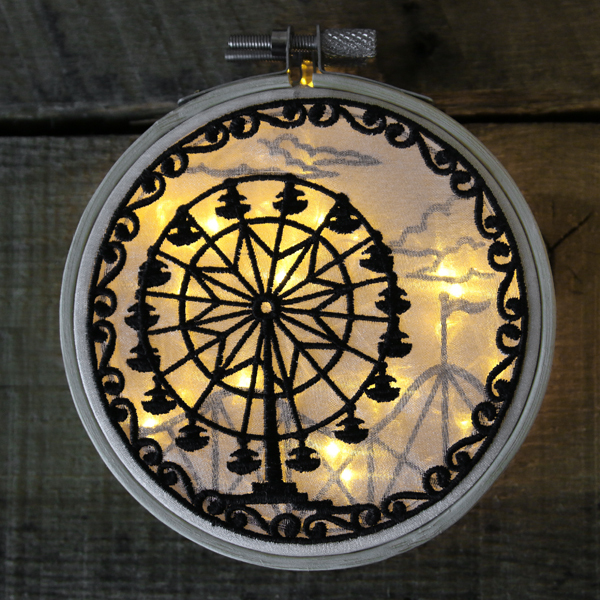 Stitch the separate designs onto freestanding organza, then hoop each in a hand embroidery hoop and combine to create an iconic view of the fair. 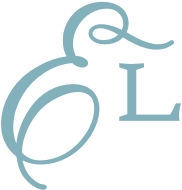 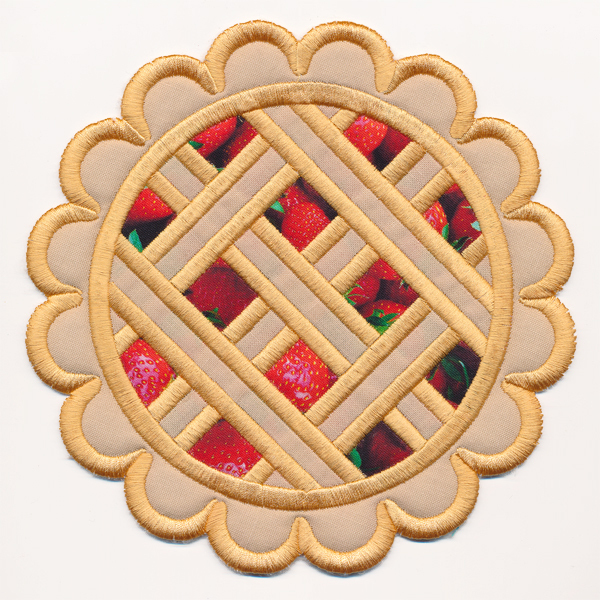 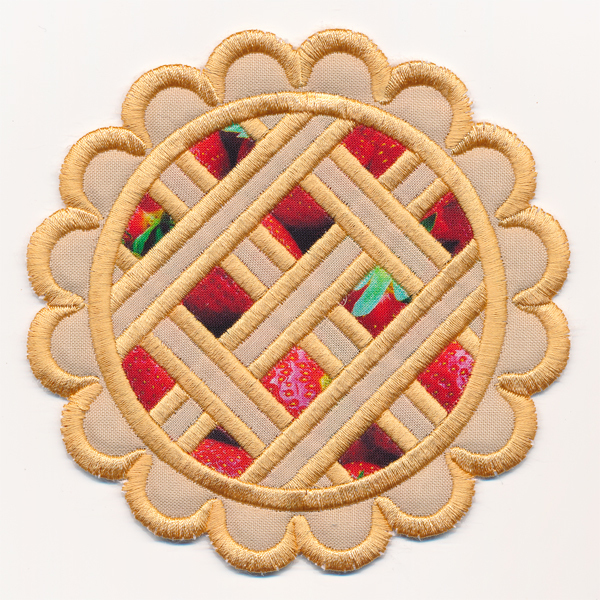 Project instructions demonstrate how to stitch and assemble this machine embroidery design. 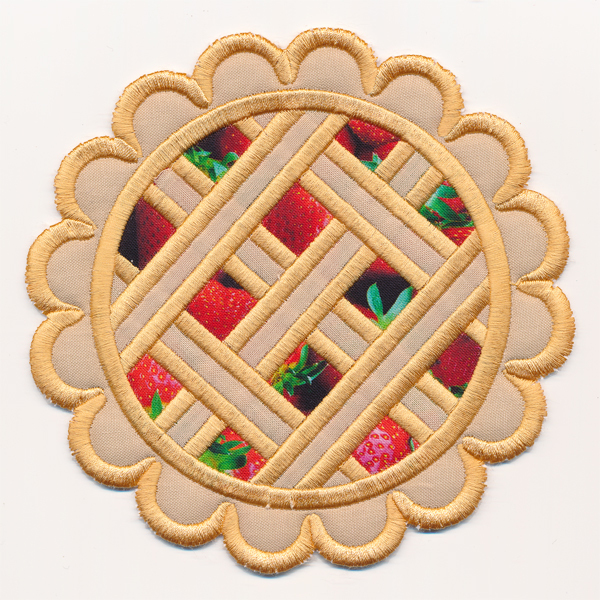 The hand embroidery hoop pictured here is 4" in diameter.